If you need a Deutz engine part start by selecting the Other section in the bottom right hand corner. Alternatively select the machine type for which you require parts. 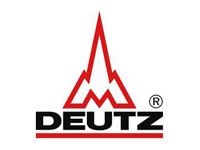 UrParts is a network of many Deutz parts and engine suppliers for new and used parts. By submitting a part request through UrParts you can rest assured that you will have the best possibility of sourcing that part. Suppliers respond quickly with their best prices as they know they are competing with other suppliers. For those who ever wondered 'Where to buy Deutz Parts and Engines' or 'Who sells Deutz parts and Engines', then look no further. Whether you need to find and buy a Deutz Engine, Motor, Fuel system, Starter, Alternator, Deutz Piston & Liner, Head Gasket, Sort Block, Long Block, Crankshaft, Conrod, Deutz Powertrain and more, you have Nothing to Lose and Everything to Gain by using UrParts.